The Civic is a "community theatre", which means that all of the actors, running crews, and ushers needed to present a production are members of the community who volunteer their time. Volunteering at the Civic is fun, and a terrific way to serve the community. Utilizing the talents of 1,000 volunteers each season, we provide a variety of opportunities for involvement. Volunteers can spend an occasional evening ushering (and seeing the performance for free), or they can work backstage running sound, lights, or properties. And don't forget, all of our actors are volunteers. We are always looking for newcomers, to work onstage, behind the scenes or front of house. We encourage everyone to become as involved as their schedule permits. 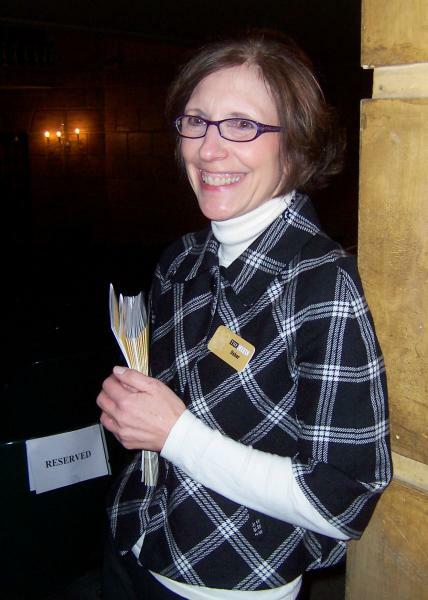 Volunteer opportunities come in all shapes and sizes at the Kalamazoo Civic Theatre. Whether you're interested in standing in the spotlight, greeting our patrons or working behind the scenes, we have a place for you! Explore some of our volunteer opportunities here and join us! All of the talented actors you see on our stages are volunteers. Whether you've never set foot on the stage or have a strong history in theatre, we encourage you to audition for us! Our wonderful backstage crew members help to make the magic happen. Without them the show could not go on. Please fill out a volunteer form and get involved behind the scenes with us! The Civic experience begins as patrons are greeted by our friendly, helpful ushers. Their knowledge and warmth help to make audience members feel welcome and well informed. We'd love to have fill out a volunteer form and join our volunteer usher team! We're always looking for friendly, outgoing volunteers to help with special events and fundraisers. We welcome your time and efforts! Our board members are integral to the success of the theatre. Their insight, guidance and support are invaluable. If you're interested in becoming a board member, please fill out the volunteer form. Within the board, there are committees that focus on specific projects and tasks. Please fill out the volunteer form to begin the process. For more information regarding volunteer opportunities please feel free to call the Director of Volunteers at 343-2280 or send an email.